INDUSTRY.co.id - Jakarta - PT PLN (Persero) signed a power supply transaction agreement amounting to 2,209 megavolt amperes (MVA) with 18 investors in Sulawesi. PLN's press release here on Monday said the signed agreement consists of an agreement on electricity transactions with 13 investors and five others to sign a memorandum of understanding (MoU) of the second phase. The signing of PLN with the investors took place in Jakarta, Art (23/7/2018) which was packed in the event titled "Welcome to Celebes". These investors will build a smelter, industrial estate, residential area and liquefied natural gas (LNG) processing facility. Syamsul Huda, Sulawesi Regional Business Director of PLN, said at the signing ceremony that PLN is always ready to meet the electricity needs from small to large customers including "smelter". "We are ready to supply electricity to industrial and business needs, especially 'smelters' which are spread in southeast Sulawesi. Smelters with nickel raw materials require large and reliable electricity supplies," he said. According to him, with PLN cooperation and industrial sector will create a chain impact in the form of increased employment and encourage the economy in Sulawesi in particular and Indonesia in general. According to RUPTL 2018-2027, in Sulawesi, PLN will build a power plant with a capacity of 4848. MW, transmission of 8,269 kms, and 7103 MWA substation. The 13 investors in Sulawesi who signed the electricity transaction agreement were "energizing" 40 MVA for PT Huadi Nickel Alloy Indonesia, a power purchase agreement (SPJBTL) 350 MVA for PT Ceria Nugraha Indotama, MoU 37 MVA for PT Sinergi Mutiara Cemerlang, MoU 35 MVA for KIMA Maros, and MoU 45 MVA for Center Point of Indonesia. Furthermore, MoU 35 MVA for South Sulawesi LNG, MoU 73 MVA for FKS Land, MoU 770 MVA for Industrial Estate Bantaeng, MoU 44 MVA for PT Macika Mineral Industri, MoU 100 MVA for PT And & Fang Brothers, MoU 45 MVA for PT Banyan Grow Lestari, MoU 7 MVA for PT Pani Bersama Tambang, and MoU 75 MVA for PT Gorontalo Minerals. Meanwhile, the other five investors who will soon sign the second phase of the MoU are PT Sarana Mineralindo 70 MVA, PT PBI (Mineral Earth Nusantara) 150 MVA, PT Gorontalo Sejahtera Mining 15 MVA, PT Arafura Surya Alam 31 MVA, and Bitung Special Economic Zone 85 MVA . Data on the progress of the 35,000 MW program from PLN shows, as of June 2018, a power purchase agreement (PPA) has been signed for 32,295 MW, with 2,311 MW operating and commissioning, 16,503 MW of construction phase, and 13,481 MW of funding completion process ( financial close). 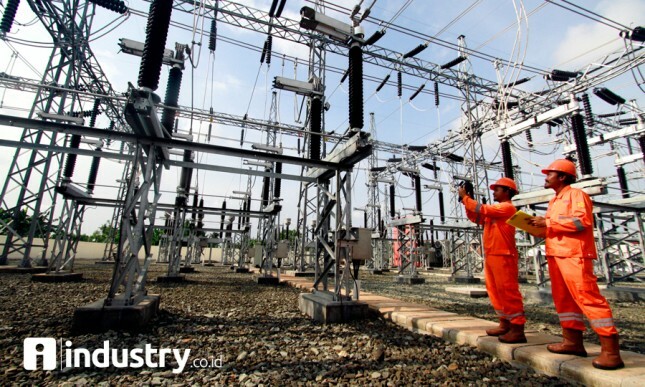 "This progress is also followed by the development of transmissions and substations throughout Indonesia are done in a sustainable," said Head of Corporate Communications Unit PLN I Made Suprateka.